Come sweat with us and support a great cause!!! All donations benefit Leukemia and Lymphoma society, suggested donations $20 and can be made at http://www.mwoy.org/pages/az/tuc17/npochily. Register now to save your spot. 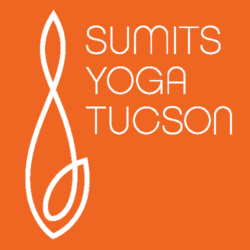 All donations will be entered in a raffle to win a 1 month practice pass Sumits Yoga Tucson! When Jude Anderson recently celebrated his fifth birthday, he was surrounded by aunts and uncles, cousins, friends and other family members. To ring in the occasion, the party enjoyed a taco bar (Jude’s choice), two cakes, a piñata and some quality time playing with Legos. Caught up in the excitement, the man of the hour chattered away with his friends, ate what he calls “Dragon Tacos” and made his rounds collecting candy. The passing of a birthday would seem to most a fun but frivolous affair, but the occasion was an important milestone for the bright young boy with inquisitive brown eyes and a toothy grin. When he was just 18 months old, Jude was diagnosed with acute lymphoblastic leukemia. He’s since received two bone marrow transplants, underwent three immunotherapy clinical trials and has experienced three relapses, although he’s now cancer-free. The treatments—some included cutting-edge experimental genetic therapies that weren’t even available a few years ago—have taken young Jude and his family to Seattle, Minneapolis and Philadelphia, along with long stays right here at Diamond Children’s Medical Center. Despite all the hardships, Jude’s mother Barb Anderson—a self-described “momcologist”—said her son has remained positive and a source of inspiration for all. 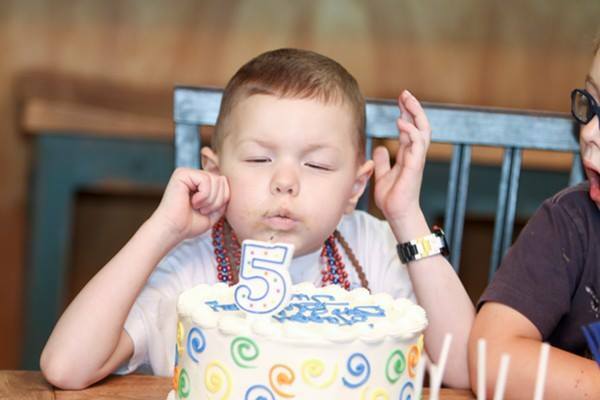 Though Jude remains positive, Anderson said her son was able to blow out his fifth birthday candles thanks to advancements in blood cancer research. Hoping to help other families in similar situations find their own hope, Anderson is now working to “pay it forward” and give other cancer patients the same chance as Jude by raising money for The Leukemia & Lymphoma Society’s (LLS) “Man & Woman of the Year” campaign. Anderson and four other Tucson-area nominees with personal and family ties to blood cancer are part of a 10-week long fundraising effort to raise support for vital research. Participants in the drive have until June 17 to hit their goal. Each dollar counts as a vote, with the winner decided by total dollar amount. Anderson is already more than halfway toward her goal of $50,000. If she comes out on top in the competition, Anderson plans to designate the funds for pediatric research in hopes of preventing other children from dealing with the experiences through which Jude has lived. Raising money to cure blood cancer is a mission benefiting the more than 1 million people in the United States suffering or in remission from blood cancer, said LLS Tucson Area Director Jeff Petrovic. Responsible for bringing the fundraising drives to the region, Petrovic said the campaigns not only spread goodwill throughout the community, but also give families like the Andersons a positive goal in their lives. A cure could save families from the hardships through which the Jude and his family have endured, and Anderson said she hopes to prevent parents from suffering through watching their child struggle with cancer. Joining Anderson in her mission to become man and woman of the year are Marisa Borjon, Carmen Grabowski, Lucy Lang and Daniel Persky. Previous PostPrevious Teacher Training Graduates! Next PostNext Vote For Us In Tucson Weekly!